Dismas House was founded in 1974 by Rev. Jack Hickey, O.P., and concerned students from the Vanderbilt University Prison Project in Nashville. A Fall River, Massachusetts native, and Providence College graduate, Father Hickey recognized the need for former prisoners to have a stable housing environment after release from incarceration. Soon, other houses followed, from Ireland to Massachusetts. 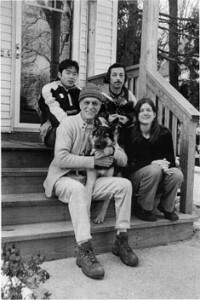 In 1988, concerned citizens such as the Miller and Laverdure families, working with College of the Holy Cross alum and Dismas director Terry Horgan, opened a Dismas House in Worcester, following the example of Jack Hickey and his students, and believing that prisoner reconciliation with society was an important mission. Dismas then opened the Father John Brooks House for graduates of Dismas and their families in spring 2007, named for longtime Dismas supporter and President Emeritus of the College of the Holy Cross. In 2010, Dismas House launched the Dismas Family Farm, a 35-acre residential farm in Oakham geared towards the successful reentry of former prisoners and the development of vocational skills for those residents. In 2012, Dismas House launched the BAR None Program, a legal advocacy program designed to help individuals with criminal records address civil matters that present barriers to successful community reintegration. The mission of Dismas is to reconcile former prisoners to society, and society to former prisoners, through the development of a supportive community. Supportive community is characterized by: students and former prisoners living together in a family setting, active involvement of volunteers from the broader community, and a spirit of open and participative decision-making by all in the community, with emphasis on the common good.